Have you ever had one of those meals that when you finish you are ready to have it all over again? That restaurant is Nobu for me. Eating at Nobu it is an experience in Japanese fusion dining. 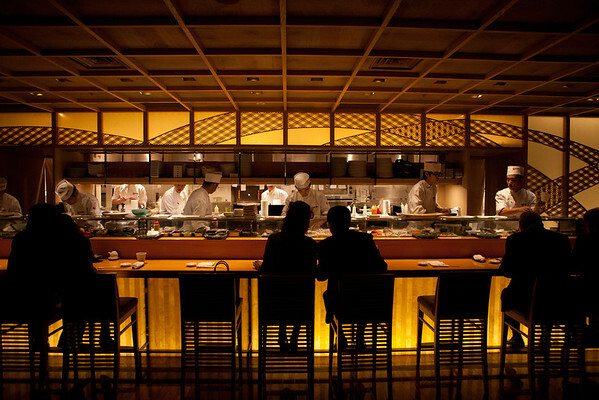 Nobu is owned by master Chef Nobu Matsushia and actor Robert De Niro. Nobu Tokyo is a very visually stunning restaurant. The atmosphere and ambiant light make it perfect for photography.